The interest to the traditional Russian costume started to revive with Diaghilev’s “Saison Russe” in France and was intensified by Paul Poiret’s haute couture colletctions 'a la russe'. 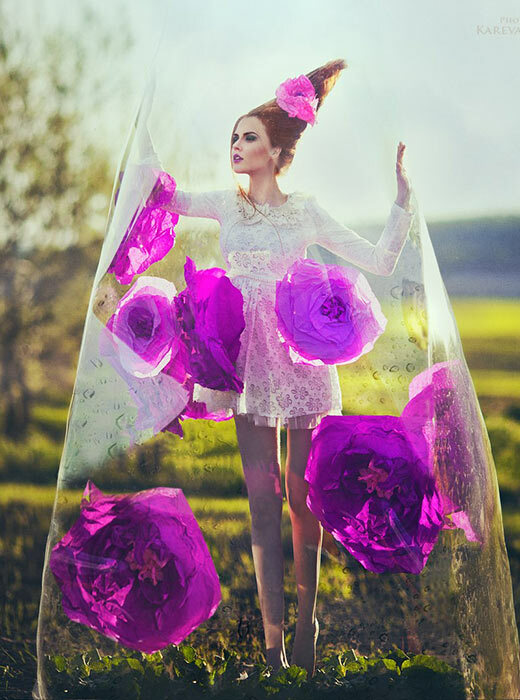 Margarita Kareva is a photographer from Yekaterinburg who takes unique fantasy-style photos. Real elements combine in her surrealist shots with props added with the help of photo editing.